Tami Simon: You’re listening to “Insights at the Edge.” Today I speak with Sandra Ingerman. Sandra is a shamanic practitioner, a psychotherapist, and the educational director for the Foundation for Shamanic Studies, who has taught workshops on shamanism around the world. She is the author, along with Hank Wesselman, of the Sounds True book Awakening to the Spirit World: The Shamanic Path of Direct Revelation, and the three-part online event, “21st-Century Shamanism: Contemporary Practices for Direct Revelation,” which begins August 5 at 8 p.m. ET, at Soundstrue.com. In this episode of “Insights at the Edge,” Sandra and I spoke about our connected web of consciousness, understanding our individual spiritual aspects, and how developing our shamanistic qualities can benefit others. Here’s my conversation with Sandra Ingerman. Sandra, I wanted you to start today by having you explain something that I encountered here in the Sounds True studio when you were at Sounds True, it must have been five years ago, recording a program with us. I walked down into the studio to say “Hi” to you. You were taking a break; you had just finished a recording session, and the studio felt unlike any other time I had walked into it, meaning the room felt glittery. And I was actually overwhelmed with a kind of what I would call ecstasy, actually. I don’t know if you remember it. Sandra Ingerman: Yes, I remember it well. TS: I looked at you and I said, “What did you do to our studio?” And you looked at me and said, “I didn’t do anything to the studio, Tami. I did something to myself.” What did you do? What was going on in there while you were recording? SI: Well, I was recording the CD, “Miracles for the Earth,” and the principle with the work that I was teaching actually comes out of classic shamanism, which is that our outer world is a reflection of our inner state of consciousness. And in today’s world, we’re very focused on the outer. We’re always looking at what we can do to change the world that we live in, our personal lives, and the planet at large. One of the great teachings from shamanism is that if you really want to change the world that you live in, to move your focus inward because we’re actually dreaming the “outer world by the invisible world of substance that we’re building within us. 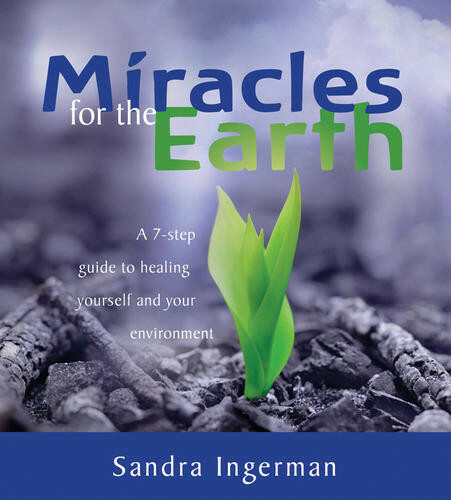 On “Miracles for the Earth,” what I was teaching people how to do is to really start to learn how to shift more into a spiritual way of being, because we get so attached to everything in the material world and that is a reflection of our body and our mental thoughts. But if you take away the body and the mind, what we are is spiritual light. In that CD and also with the other CDs that I’ve recorded for Sounds True, and what I’ve written about in my shamanic books, is that as we tap into our own spiritual nature, our presence changes. And it’s through that change in presence that the world around us is also affected, because every change in consciousness that we make ripples throughout the entire web of life. You happened to walk into the studio after I had led a meditation for being able to dissolve the body, let go of the thoughts temporarily, and get in touch with one’s spiritual light. And you got that real glitter, that radiant light, and felt tangibly the change that had happened. With the other CDs that I’ve also recorded at Sounds True, those people who were working on the production went through the same thing that you did when you actually experienced that shift in presence. TS: Now, what do you mean by “spiritual light”? And when you say, “When you drop the body and the mind,” I mean, I’m in my body. What do you mean exactly? SI: Well, I love how the Egyptians talk of how their body is the temple of their spirit. When you travel really deep within yourself—and we are a body, but when you go within the body, you see the body of clothing [as] another aspect of ourselves. In our culture, we speak of “body, mind, and spirit,” and we have an understanding of what we mean by “body” and “mind,” but in a Western world, we’ve really stopped exploring from a Western scientific point of view what the spiritual aspect of ourselves means. And the spiritual aspect of ourselves is invisible, so it’s really hard to put words to. Different traditions find different words to talk about spirit. From a shamanic point of view, and from an esoteric point of view, when you travel really deep within yourself, and you go beyond your body as clothing your spirit, you start to notice that there’s a presence of light, and it’s an invisible part of us that reflects basically the creative force of the universe, which is also seen in many traditions as light. It really takes a sinking into your inner self. If you get into a still place, you don’t perceive form. Oftentimes when people get into a very still place, [they] move into a place of formlessness, which oftentimes is perceived as light. 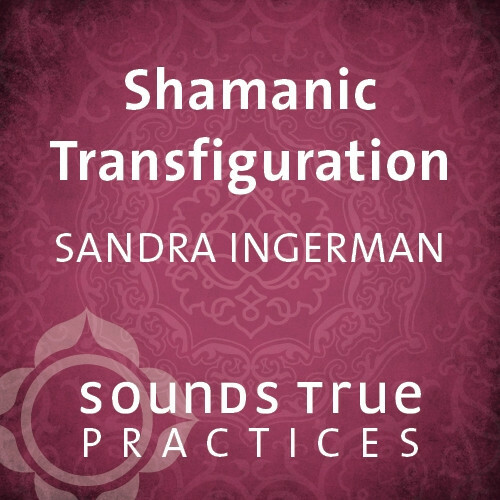 TS: Sandra, you’ve been a shamanic practitioner and now a teacher for over three decades. Can you talk to us a little bit about how you first were introduced to shamanism? SI: Well, I first got introduced to shamanism when I was going for my masters degree in Counseling Psychology. I was always a spiritual child. I had three near-death experiences in my life, and always had a spiritual outlook in life and always seemed to be able to hold a bigger perspective than what I was just seeing on an ordinary level. I didn’t have a structure for that spirituality; I didn’t know what to do with it. I saw spirits. I embraced the world from a bigger perspective, but I didn’t really know how to integrate that spiritual knowledge into my day-to-day life. In 1980, I took a course on shamanic journeying when I was studying at the California Institute of Integral Studies. In learning how to journey, I actually received a structure of what I could do with my spirituality so that I learned how to access spiritual guidance for myself to start to learn how to improve my own life. 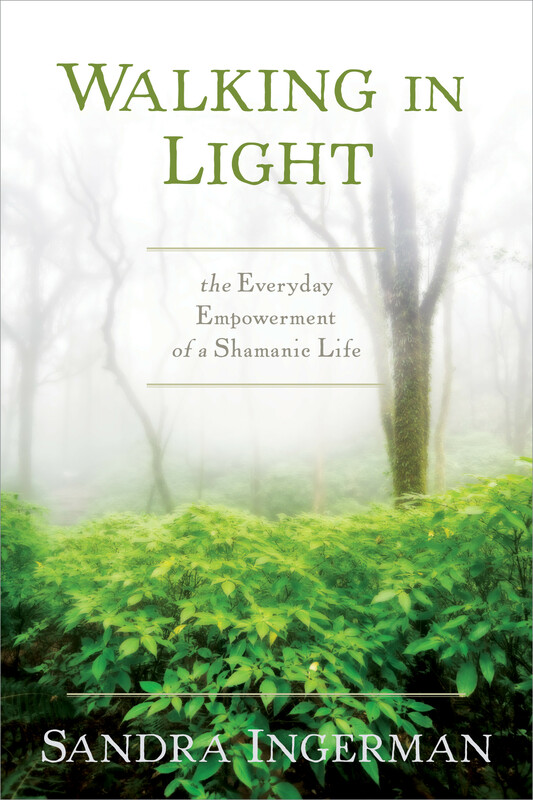 As I learned how to use shamanic journeying to improve my own life, as I was a therapist at that time it started to give me the guidance on how I could help my clients tap into their own spiritual guidance. I also learned how shamans work with looking at illness. I saw how to start to use spiritual work to help people in a modern-day culture, in our time; I learned how to move through depression and some of the emotional illnesses and also the physical illnesses that we’re dealing with at this time. That led me into being very interested in the planet at large and how we could actually help the planet. [Also] I started with the personal [perspective] of really looking at how shamanic journeys and tapping into my own spiritual guidance could help me on a personal level. And then it started to help me with my work in other fields. TS: So let’s [stay on] track here with the listeners with your life story. So starting at the personal level, you mentioned that even before you learned to journey, that you saw beings? What kinds of beings did you see? SI: Well, when I was a little kid, I grew up Jewish, so my parents never really understood where I was coming from. Jesus used to appear to me in my room every single night before I went to bed. And I had lots of animal dreams, which is really classic in shamanism. I was hit by lightening when I was seven years old and went to a great beam of light where I experienced unconditional love. From a shamanic perspective, it was those deep initiations where a person actually experiences some kind of light or spiritual being. That path is laid forth for gaining shamanic knowledge over time in one’s life. I just had these initiation experiences as a child of seeing spirits, and also having that experience of unconditional love and unconditional light from a creative force of the universe. Then when I got into shamanic journeying, I have to be really honest about this, because I’ve been thinking about my path with shamanism this morning and how I started initially and where I’ve come to now. When I first started journeying, my big question to my power animal was how I could lose weight. I was really stuck in the personal level, and everything was around my own life and my own body. At that time, I needed to lose a bit of weight so it was about diet. What shamanism and my journeys led me to do was look at more than my own body, but that maybe the weight issue I was dealing with at that particular time in my life had to do with not feeling fulfilled in my life. In working with my helping spirits, they started to lead me to the changes I would need to make in my life that would bring about more of a sense of well-being and meaning in my life, so I felt more passion in my life and didn’t turn to food but to other parts of life that would really feed me on a different level. I started with really personal, down-to-earth questions about how to change my body, and over time that really led me to working with other people, and again, looking at more of a global perspective. I know that I’m moving out of the range of your question, but I was really reflecting this morning on how my own journeys around my own personal being led me into a different way of working. I was thinking about [it] this way because I recently read some information about how during the Olympics some of the Canadian athletes turned to a woman who called herself a “Sport Shaman” to find out who their power animals were [in order] to help them in their competition and to help them be able to win a medal. And I was thinking about how we’re all on a particular journey in life, and we start with shamanism at a particular evolution of consciousness where we might only look at our own personal lives. But when we start to work with the spirits, they start to lead us to a broader perspective and start to lead us to a deeper evolution of consciousness. TS: There are a lot of questions in here for me. The first is that you actually had three near-death experiences and were struck by lightning in your early life, before you were twenty. SI: Yes, being struck by lightning was my first near-death experience, and it was a really amazing experience. I was in my house in Brooklyn, New York, and my mother was standing right behind me in the kitchen and just a weird bolt of lightning came in and threw me across the kitchen. I came back and said, “Mommy, I died!” And my mother said, “No, you didn’t.” And it was later on in life when I worked at San Francisco State University that I learned about near-death experiences and the work of some of the writers in that area. TS: OK. Now these early visits from Jesus, how do you understand that? What do you think? Do you think this was some kind of beam of a cosmic vibratory pool called Jesus, or an actual being called Jesus? Who was actually visiting you? SI: Well, this was when I was pretty little again, growing up in Brooklyn. I wasn’t thinking in that particular realm. Now as an adult looking back on that, I really perceived that as an energy of love that was surrounding me as a child and giving me guidance about the power of love, which is where true healing come from. It’s not “techniques” that heal but love that heals. I think that I was really being held in the loving arms of the universe, and getting that loving structure that would help me in my work with others. TS: But still, I guess the question that occurs to me, because here you are, in a Jewish family, so there wouldn’t have been a lot of talk about Jesus or teachings about him. But yet, Jesus is the being that came to you? SI: Right. And you know, I actually see that as true for people who are brought up in a particular religion. When we’re brought up in a particular religion or structure, oftentimes we receive images and teachings that we were taught where there are collective energies, like the energy of Jesus or Mary or Buddha, that actually can come into a person’s life who didn’t have that teaching from a particular culture imposed on them, which actually makes it a more powerful teaching. TS: I have so much curiosity about appearances, like the appearance of Jesus or Mary, maybe because I’m somebody who doesn’t see those kinds of things, so it has such curiosity for me. And I wonder how to understand it. And what I really want to know is how you understand it. You’ve worked with so many different people who see so many different beings appearing to them. What’s your map of this? SI: Well, again, I started from one place and one understanding, and because I have been a real spiritual seeker throughout my entire life and now being in my late fifties, I keep evolving into different understandings of knowing. I was at a workshop many years ago where I was teaching, and I was teaching people how to merge with a helping spirit that they work with to get understanding. I was doing a demonstration of what that would look like. And one of the helping spirits that I work with who I write about in my books is the Egyptian goddess Isis. So I had merged with Isis in this group, and I told the group that they could ask Isis whatever questions they wanted and she would answer them. One of the participants in the group asked Isis, “Can you see all of our power animals and teachers sitting in the room here?” And Isis gave a really interesting response. She said that we give the spirits a form by giving them a name, but that actually the spirits don’t have a particular form. We give them a form. People who journey see bear as a power animal, or [they see] eagle, or some people have Jesus, Mary, or Buddha as a teacher. In reality, they don’t have these names or personalities. But it’s our need from a human perspective to be able to know that we have this bear or eagle or Jesus with us, but the spirits who work with us actually have a formless energy, which gives them the unlimited potential to create the healing that we need on a personal level and on a planetary level. What was happening for me as a child in seeing the form of Jesus and what that meant for me, I don’t know. Maybe there were stories that I heard when I was a child at school that made this particular image safe to me. But now as a woman in my fifties, Jesus is more of an energy of teaching. We limit the power of the spirits because we get so attached to their form. And when [we] actually put a form on the spiritual energies, we end up limiting their potential. TS: What you’re saying is, we tune into more of a frequency or signature, but then we call it something? TS: But what about an instance where somebody enters a journey, they meet some kind of frequency, and they say to that vibration, “Tell me who you are; tell me what you are.” And they hear something that they’ve never heard of before? SI: Right. That’s the actually the beauty of shamanism. It’s the surprise element that you never get what you think you’re going to get. That frequency, from a shamanic point of view, whenever we start to enter into a world of shamanic journeying, the universe creates a really individualized learning plan for us. If five of my students have bear as their teacher, they are going to have five different types of journeys. Bear isn’t going to tell them the same thing. To think about this on a rational level, our own psyches start to call in a particular frequency of help and guidance that we need in our life at a particular time. That changes over time, and we are all going to evolve and have different needs, [different] lessons and frequencies that we need to call on for guidance. At a particular time in our life, we might find that there is a particular comfort and kind of wisdom and knowledge that we need, so our psyche calls forth a particular form. It might be coming from our subconscious so we’re not even aware that we’re calling in this particular form, but it’s a call that’s being put out to the universe, and the universe is responding to our call. TS: Our subconscious may have knowledge of a name we’ve never heard before—an archetype or mythological being or something like that? SI: Right, absolutely. And knows the knowledge that it needs at that time. TS: OK, we’re tracking from the personal aspects of shamanism to your discovery that you could use these techniques in working with other people. Can you talk a little bit about that? What kinds of issues or problems can shamanism address, and how it goes about that? SI: Sure. The wonderful thing about working with the spirits is that the spirits have a different perspective on life than we do. I love the metaphor that a friend of mine, who is a shamanic teacher, who talks about being at a ball game and that we as humans are the players on the field and the spirits are on the bleachers. They can see everything that’s going on from a different perspective. We don’t always have the perspective that we need because we’re right there on the field and don’t have that 360-degree perspective that those in the bleachers have. How I was able to help other people was number one, being able to lead people to be able to meet up with their own helping spirits who could give them personal wisdom and guidance on how to find passion and meaning in their life, what changes to make in their life to create a healthier way of being. That’s one way to really help people, to help them get in touch with their own personal spiritual guidance, which is something people really crave right now. People are tired of giving their power away to other people. They want to tap into their own spiritual wisdom for themselves, and shamanic journeying gives that. At the same time, what we look at in shamanism with emotional and physical illness is what is spiritually out of harmony or balance. There are classic causes of illness from a shamanic perspective that shamans work with. One is that the person may have lost their helping spirits and power. This creates chronic depression, suicidal tendencies, illness, and misfortune. A person may have, through trauma, from suffering a physical trauma or shock, lost a piece of their soul, their vitality, their essence. That would cause post-traumatic stress syndrome, depression, disassociation, chronic illness, or immune problems; people who feel like they are more observing life, as if they’re watching a movie and not fully participating in life. Or what we call a “spiritual intrusion” may have come into the body because a person has lost their power or a piece of their soul. There is an opening in their body, and the universe cannot stand a void so something might come in to fill up that space. A person might have a spiritual blockage that is causing an illness such as cancer or a neck problem or a knee problem. Shamans look at what’s happening on an invisible level for a person, and either retrieves something that has been lost—like a power animal or guardian spirit or a piece of a person’s soul—or removes a spiritual blockage or some spiritual intrusion that has come into the body. Then through shamanism, [they] teach the person about the changes that they need to make in their life to live from a place of passion and meaning, and to move back into a place of living life from a place of appreciation, gratitude, honor, and respect, and connecting with nature and life itself in order to restore long-term healing and not short-term healing. There are a lot of elements that go into how shamanism can really work with people at this time on the planet. TS: OK. Let’s break some of this down a little bit. When you give the example of the baseball field and the people in the audience, isn’t it possible to think about these helping spirits and power animals or guardian spirits that are in the audience as extensions of who I am? They aren’t really separate from me, but in the way that you talk about it, it sounds like there is this power animal over here and this guardian spirit over there, as if they are outside of me. SI: Right. Again, it goes back to the evolution of consciousness. I actually hold both perspectives. From Sandra Ingerman who is an ego, and who from an “egoic” point of view I experience myself as a separate being. When I am in a place of separateness, I’m filled with fear about life and what I’m going to lose and what is going to happen to me—you know, all of the trauma, dramas, that we experience as an egoic being when we forget that we’re all part of a web of life and held in the loving arms of the universe. As a spiritual being, we can’t be hurt. The Sandra Ingerman who is the ego receives incredible comfort in knowing that I have these guardian spirits surrounding me, who are like guardian angels who are taking care of me and helping me to grow, evolve, and heal. But in life, we have to look at the different aspects of ourselves. On one level, we are part of a physical universe of form, and for most of us in our daily lives, we perceive ourselves as an ego and we perceive ourselves as separate. When we transcend that state of separateness, which shamanism also teaches us how to do, and we [see that we] are a spirit, once we experience ourselves as a spirit, as divine or spiritual light, then we are our power animals and our teachers. There is no difference because it’s all spiritual energy. I think that as human beings, unless you came into the world as a transcendent being— You know, there are a lot of spiritual masters who come into the world already embracing a state of oneness all the time. But for most of us who live a regular life, we go back and forth between perceiving ourselves as an ego and feeling that great comfort of knowing that I have a bear, an eagle, an Isis, or a Jesus surrounding me and protecting me. At other times, we move through a dance into a different paradigm where it’s all one energy and there is no separation and we are those spiritual beings. That’s a part of the paradox of life in this world that we live in, [a world] of form and formlessness, and learning how to dance in both of those worlds. TS: OK, so as an ego being, as a form being, I have power animals and guardian spirits, everyone does. And in the shamanic view, illness can be [caused] because I’ve somehow lost contact with some of my guardian spirits or power animals. How would I lose contact with them? What would happen? Why? Did I begin as a little infant in perfect contact? SI: I get that question a lot in workshops. From what I can tell from a shamanic point of view, there isn’t a real answer to [those] “why” questions—or what causes that disconnection from our own helping spirits. From what I have learned, helping spirits stay with us through a particular time in our life, and then when we’re ready for new lessons or opportunities they move on, and new ones come in to take their place. Sometimes the new power animal or helping spirit doesn’t come in to take its place, and a person is left without power. But the exact “why’s” of all of that is really not understood. TS: But you believe that everybody has helping spirits and power animals? SI: Yes. Again, we’re looking at every different shamanic culture around the world. You really can’t find cultures that didn’t practice shamanism at some time in their history. When we’re born, from a classic shamanic point of view, certain helping, compassionate spirits volunteer themselves to us to act as what we would call “guardian spirits.” From a Judeo-Christian point of view, they act as guardian angels in our lives. TS: Going back to what you were saying earlier, that we name these spirits or guardians according to our own language and needs for those kinds of labels. Would it be possible to say that each one of us has some kind of unique grouping of frequencies that are here to help us and [are] outside of our ego structure? And we can call on [them] and we can also call them names and label them if we want. But we don’t have to? SI: Right. I’ve also felt a little schizophrenic in my own shamanic teaching at the moment because I still teach workshops and I still practice classic shamanism where I work with these helping spirits. And then when I teach workshops on healing with spiritual light— When you had walked into the studio that day and felt a real shift in presence, I was teaching about how to work with formless energies in order to be able to heal ourselves and the planet. We’re the guardian spirits, the power animals; there is no difference anymore because we’re tapping into our own spiritual mastery, we’re tapping into our own creative power in that particular evolution, paradox, and paradigm of working. There’s no longer a need to label, give a name or a form anymore because it’s only one creative energy—the same energy that the creative force of the universe created this planet with. So sometimes I feel a little schizophrenic because I’ll be teaching a class of shamanism about going to your power animal and asking a certain question, then the next week I’ll be teaching a workshop saying that there are no power animals and the power is with you. I think it goes back to again about what people need in their life. Some clients actually show up and they need the form of a “power animal retrieval” or what we would call “soul retrieval” or a specific shamanic technique to actually make them feel like they’ve been healed. And some people can embrace more of a spiritual perspective of oneness, a lack of separation, and can really embrace a healing that comes from just being in a presence of light. Everybody needs different things, and it depends on the time of life that we’re in. Shamanism can really speak to all the different paradoxes and paradigms of the levels of life, whether we’re coming from an ego, [from a] separate state at that particular time in our life or evolution of consciousness. Or when we’re in a state of expansion, shamanism can also rise to help us to experience the invisible energy of life that runs through each and every one of us and connects us all. TS: What I’m really appreciating, Sandra, about this explanation and the way you’re presenting this, is the flexibility of perspectives that you’re bringing forward. SI: Yes. There’s no judgment of where we are. We all move through different states. There are certain times of our life where we’re suffering loss, and we move into a real egoic state of fear and grief about what we’ve lost on the material [plane]. Then there are times in life where we can embrace the bigger mysteries of life and realize that there’s a bigger picture going on. For most of us in life, we move back and forth between those two different perspectives. TS: Now, we have been moving from shamanism in the personal sphere—how to heal oneself—then how to work with other people. And now this third step, talking about shamanism today and the state of our world. I’m wondering if you could talk some about that. I know this is something that you’re very passionate about. What do you think the applications are of shamanic practice to the global ills that we are facing? SI: One of the applications is that shamanism teaches us that there’s a web of life that connects us all. Shamanism teaches us that there are no borders. We see America and Haiti and Europe. We love to put borders on things. But when we really look at the web of life, what we’re talking about is one global community. One of the teachings of shamanism is that when you can engage more than one person in a healing process, the power of the healing becomes exponential. If you bring two or three shamans into the picture, the more people that you bring into the picture, the more power you bring into the healing. In working from a global perspective, what we start to see from a shamanic point of view is that as we gather as a community, we do have the power to create exponential change. Shamanism also teaches us that the world that we’re living in is a dream, and if we really want to change our experience of the outer world, we have to change what we’re dreaming about in our inner world. That has to do with really looking at our thoughts and what we’re thinking about throughout the day, because shamanism teaches us that everything in the invisible world manifests physically. Our thoughts and our words are what are often the invisible energies that form the outer world that we live in. If we want to change the planet, we have to start to change our thinking. For example, if we keep on thinking the world has gone too far, we’re actually dreaming a defeatist attitude into being in the world. And from a shamanic point of view, if we would start to come together as a global community, and focus our thoughts, words, and daydreams on the actual world that we do want to live in, instead of focusing our thoughts and words into complaints about what’s not working but [instead] focusing on what we want to see working, that’s how we actually change the world that we live in. Specifically what shamanism really teaches us is that there’s a web of life that connects us all and a principle of unity and oneness, and the power that comes from working together in unity instead of from a place of division. Division is really what we’re seeing today. The real healing that needs to come in is to see that we are all part of this planet and we all need to work together to focus our thoughts, words, and daydreams on the world that we want to be living in together as one world community. To live a life of honor, respect, and gratitude, and that’s a real way to change the world that we’re living in also. TS: When you talk about shamanic practitioners coming together and the power of the work that they can create together, what are you imagining? What can practitioners do together that would be effective? SI: Well, I’ve actually have been bringing groups together to work in this particular way of really learning. This is a difficult and challenging thing, but it is also a very exciting thing, [namely] to actually be observant of our moment-to-moment thoughts throughout the day. How many times do I start to move into a place of, “Oh my God, there’s too much happening in the world!” or “There’s too much pollution, anger, violence in the world! I just don’t know where this is all going to end up.” The more that I focus on those thoughts, the more I’m feeding the anger, the pollution in the world. [Instead we could be] trying to really get people to really focus on “Peace is possible.” We have unlimited potential to be able to reverse the environmental pollution in the world. We are creative beings and spiritual light. We can start to project beauty onto the world. Here is an example of what happened in Haiti during the earthquake. There was a group of shamanic practitioners who were starting to daydream about a Haiti that was rebuilt in a good way, where there wasn’t poverty, and children all had the potential for going to school. They started to focus their thoughts on those ideas. And as we continue this line of thinking, from a shamanic point of view, you start to move that invisible world of substance that you’re daydreaming into an actual physical reality. It really takes a group of people to start what they’re daydreaming about, and that’s what I’ve been trying to inspire people to do as communities. I want to encourage people to daydream about the type of world that they want to materialize. TS: And how would somebody go about invoking the help of their guardian spirits / helping spirits in that process? SI: Well, to actually ask their helping spirits to start to give them some teachings on their own creative potential. What we’re missing in our way of thinking right now is that we all have the ability as human beings to create a better world, just as the creator created this world into being. What we really need to do right now is to own our own creative brilliance. Where the helping spirits can help us is by inspiring us to tap into our own creative potential. I can go to my own helping spirits and ask, “How would I want to change my thoughts? Can you give me some ideas on how I can change my thoughts and the words that I use throughout the day? And please show me the power of what I’m doing on an invisible level that will create those positive changes on the physical level for my own personal life and for the planet itself.” That is how I can start radiating my light into the world that’s going to change the presence of the world, just like you had experienced that change in presence at Sounds True. TS: I know that we’re just a couple of years away from the date of 2012, and there are a lot of different views about prophecies related to 2012 and earth changes related to that date. What is your perspective on 2012, Sandra? SI: Well, I actually think that 2012 is here right now. If you follow what we’re seeing right now, if you follow the earth changes or energies that we’re seeing on the planet right now, we’re seeing where this is going to. But I do believe and absolutely believe (and this was the very first vision I got as a child) that we do have the possibility as human beings to create a world of peace, joy, and abundance for all. What my helping spirits keep on telling me is that our future is created by our present. We need to stop focusing on 2012 and start focusing on what we’re doing right now. I think it’s very important for people to find some spiritual practice that calls to them to engage with, so they can start to learn how to change their thoughts [and] words, and how to feed light into the world instead of feeding the unrest and pollution that we’re seeing. What we’re seeing right now is where the world is going to go in 2012 unless we actually start to do some work right now, today, at this moment. I do believe that if we start to believe that 2012 is about the end of the world, that is exactly what we’re going to create. I believe that we’re seeing a death of an old way of living. It’s not the death of the material world or our lives, but of a new evolution of consciousness coming in. The more people who are willing to answer the call to start to find spiritual practices that start to feed the world with light, that lead to a life of honor and respect, [the more] we are going to see all of [the] earth changes and unrest turn around. I think it’s going to be faster than we ever believe that it could happen, as long as we come together as a global community and unity and start to work together to daydream the world that we actually want to live in, and to learn how to live a life of honor and respect, and gratitude. TS: Sandra, you said that you had a vision when you were young and a vision that you’d be true to all the way until your death. What exactly did you see? SI: I actually saw that we were born to live a life of joy, and that [this] was our birthright. I made a decision. I remember sitting on my couch in Brooklyn, New York, as a very young child saying that I wasn’t going to give up on creating a life of joy and helping others to do the same until my last breath. And that’s some of my frustration with what I see right now, is that there is so much energy into a defeatist attitude around the prophecies of 2012, that the world is ending, and meaning that on a physical and material level. It’s almost like people have given up. Why would you want to give up? Why not go for giving everything that you have to use your creative potential to turn things around, and be in a place of hope and to inspire people into the possibilities of what could come out of changing our way of life to a healthier way of living for ourselves and the planet? I’m trying to inspire people to not give up. There’s no reason to give up yet. We need to really tap into our creative potential and find those spiritual practices that call to you and will ripple throughout the entire web of life and change the world that we live in. TS: Now, I’m going to take this one step further, Sandra, about 2012, because you and I had a conversation once at dinner about a year and half ago, and you mentioned something that I didn’t quite fully understand but I wanted to understand, so I’m going to try again. It was something about how you could see that there might be some kind of dimensional split or something related to 2012. Maybe you could remind me of what you said and help me understand it. SI: Sure. I think about this every day. I live in Santa Fe, New Mexico, and I love to visit Anasazi ruins. The Anasazi were a very ancient people, and they lived in the southwest, [in] New Mexico, Utah, and Arizona. From an anthropological perspective, nobody could really explain what happened to the Anasazi, but it looks like they actually all disappeared in the middle of dinner at the same time. It has always been a scientific mystery around where the Anasazi people went. When I personally visit Anasazi ruins, I feel the presence of the people still there. I feel a peace, a vitality, and a life. What I’ve always felt, from an intuitive point of view, is that the Anasazi [live] on a vibrational level, and they’re still living on the land there, they are just living in a different dimension. When I look at the world today, there’s so many thousands of people who are being called to a spiritual path. They are radiating light into the world and doing the self-exploration that is needed right now to find peace, light, and love within, and to start to move out of separate states of consciousness to a perception and living of life as being connected to nature and to each other, to a perspective of unity. You see a lot of people who are actually shifting their vibration and who are shifting their frequency right now to a more expansive state of consciousness. Then you see people who are moving deeper into a place of hate, violence, hopelessness, and separation. It’s almost like those energies are becoming stronger and stronger. You have more people being called to a more evolutionary way of living their life. And you have people who are moving more into a denser way of living life and to a more separate and violent state. You can actually see and experience those energies pulling apart. What my spirits showed me at forty years old, when I had a vision of this, was moving into a place, like the Anasazi where part of the population is living in one vibration and the other part is living in a different vibration, [is that] it’s all about choice. What choices do you want to make? Are you feeding a denser view of reality, or are you feeding light and a more expansive state of oneness? People are going to shift basically into two different dimensions. You can actually see the split happening at this particular point, and it’s something that you have to tap into on a feeling level to really get what that split is about. You have part of the population moving into one frequency, and you have part of the population dropping into a denser state of consciousness. At some point, that creates two different dimensions and ways of living in the world. Whether or not we end up as the Anasazi did, where it looks like one part of the population has actually left, but they are still living in the world just [as] invisible [beings], because they are living at a different vibration. I don’t really have all the answers to that part, but does that make sense? TS: It sort of makes sense, but it also stretches my rational mind here a bit, meaning that the Anasazi are no longer physically with us? They died? SI: They died. We can’t see them. TS: And yet when I look around the world, I am with you in that people are at different vibrations and levels of consciousness. It certainly feels like we’re living in different worlds, but physically we’re in the same world. TS: But it sounds like what you’re pointing to is that there might be, at some point, that these vibrations are so different between people who have awakened to spiritual light and the people who are continuing to contract in their sense of division, that we actually live in different physical realms? SI: It could be. Yes. SI: (Laughs) Yeah. I’m one of those people who love the mysteries of life and so I just kind of live in that excitement of “I wonder what will happen,” if there’s actually going to be two different worlds that are created because there is such a split, or if we all lived together in the same world and dimension and we’re all just operating at different vibrations and having a completely different experience of life. I really don’t know the answer to that question. For myself, personally, I’m fine with that. I can live in that state of wonder. And I don’t know the answer to that and I don’t think anybody really does because, as I said from what my spirits are saying, is that the future is created from the present. We really don’t know where the future is going at this time because it really has to do with that moment-to-moment life that we all engage in on a daily basis together. That’s what’s going to end up creating the future for this planet. TS: Sandra, I want to thank you so much for being with us on “Insights at the Edge.” It was really fabulous to talk with you. SI: Yes! Thanks, Tami. It’s always really great to talk with you also. TS: Sandra Ingerman is the author, along with Hank Wesselman, of a new book at Sounds True called Awakening to the Spirit World: Contemporary Practices for Direct Revelation. She has also created several audio recordings with Sounds True, including a program called “Miracles for the Earth” and “The Beginner’s Guide to Shamanic Journeying.” And additionally, Sandra will be live in a three-part online event series on “21st-Century Shamanism: Contemporary Practices for Direct Revelation.” That series begins on August 5, 2010, at 8 p.m. ET at Soundstrue.com. Thank you, again, Sandra Ingerman, for bringing your spiritual light here to the Sounds True listeners. SI: Thank you so much, and thank you for having me.